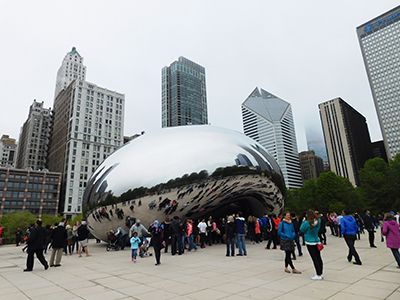 The “windy city” has a lot to offer vacationers hungry for new discoveries. The third largest city in the United States is full of the most attractive places. An overview in seven themes. Nature lovers will be delighted to learn that there is no shortage of options in Chicago for outdoor walks. Plants of all types await you when you visit the Chicago Botanic Garden, known for its collection of bonsai and aquatic garden. You can admire the Veldheer Tulip Garden and its five million tulips from the last week of April until mid-May. A stop at the Frederik Meijer Gardens and Sculpture Park is also a must. The art collection enhances the landscape arrangements of this vast park. Of particular note is the Leonardo da Vinci Horse, a bronze statue 24 feet in height. 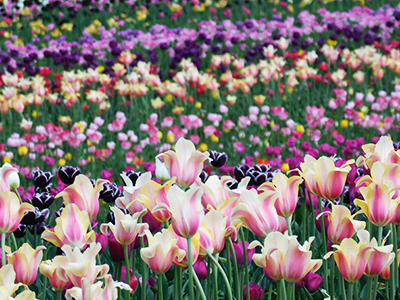 If you only have time for a single activity, the Tulip Festival is the best choice. Held once a year in the city of Holland, Michigan, this event brings out the crowds. Inspired by the folklore of the Netherlands, you can watch Dutch dances being performed, enjoy yourself on the merry-go-rounds, participate in the parades, and, of course, see millions of tulips! Creativity is in the forefront in Chicago. If you think about Cloud Gate, the famous mirror effect sculpture located in Millennium Park, or of Buckingham Fountain, inspired by a similar sculpture in the Gardens of Versailles, art is everywhere. In the summer, you can admire Crown Fountain, an interactive piece of art that projects the faces of city inhabitants. 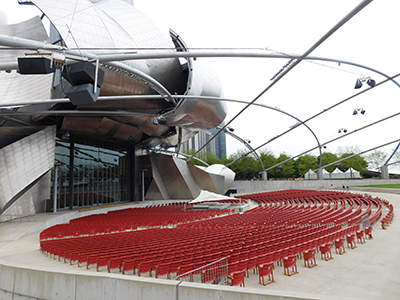 Hop over to the Jay Pritzker Pavilion to see its unique architecture and its open-air concert hall. True connoisseurs won't be satisfied until they have spent a day at the Art Institute of Chicago. Its collections of impressionist and post-impressionist paintings have made it famous. Chicago's reputation has long been tarnished by the presence of Al Capone in the area. The period when gangsters ruled is long gone, but the years of anti-corruption battles have now given rise to interesting guided tours. You'll be surprised by anecdotes that would seem to be straight from a police drama, and at very little cost! Anyone wishing to deepen their knowledge should stop at the Chicago History Museum. It covers a wide variety of subjects that will tell you everything about the city: the Great Fire of 1871, its French origins, its prosperity from the slaughterhouses… Did you know that Barack Obama worked many years in this city and even gave his victory speech there? The migration of African-American workers in the early 1900s brought with it traditional musical influences. Chicago immediately became home to the best blues and jazz orchestras in the country. To breathe in the atmosphere of the mythic clubs, you can't beat a tour of well-known bars such as the B.L.U.E.S., where you can party until dawn to the tune of trumpets, trombones and saxophones. No visit to Chicago would be complete without attending one of the many shows at the Chicago Blues Festival, the largest free blues festival in the world. Join some 500,000 spectators who flock each year to the grounds of Grant Park seeking unforgettable performances! You don't necessarily think of Chicago as a “fine dining destination”. But this city has the most five star restaurants in the country. Several famous chefs have set up shop and local specialities are featured. If you are suffering neck pain from gazing at the skyscrapers dotting the city's landscape, it's time to change courses. 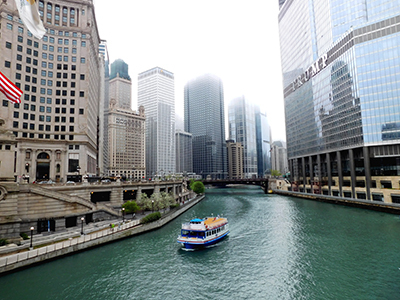 A cruise on the Chicago river will help you see this capital of modern architecture from a different perspective. Don't miss Marina City: these twin towers are commonly called the corn cobs. When you are back on solid ground, make a stop at Navy Pier. Fun is guaranteed at this amusement park where eight million visitors flock each year! If you prefer to see the city from way up high, the Willis Tower and the John Hancock Tower offer breath-taking panoramas. Choose a sunny day for these activities, and be careful, as the staff will promise you a stunning view...even when it is foggy! 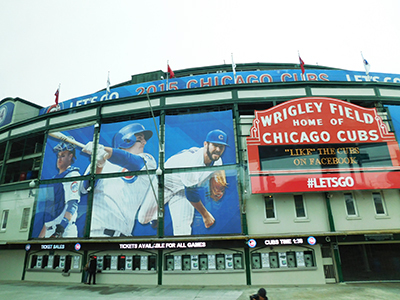 There are many options for anyone wishing to attend a sporting event in Chicago. The Chicago Bulls, the professional basketball team made famous by star player Michael Jordan, will entertain you from October to April. During the same time frame, ice hockey's Chicago Blackhawks like to wow spectators. If you prefer baseball, you can choose between the Chicago Cubs at Wrigley Field and the Chicago White Sox at Comiskey Park. And then there is football: you can watch the Chicago Bears at Soldier Field from September to January. To reserve your tickets, ticketmaster.com is the place to go! The second biggest industrial center in the United States is the envy of its neighbors. Benefiting from one of the highest volumes of air traffic in the world, and with a desirable geographic location on the shores of Lake Michigan, this is a vibrant destination to spend a weekend…or longer!